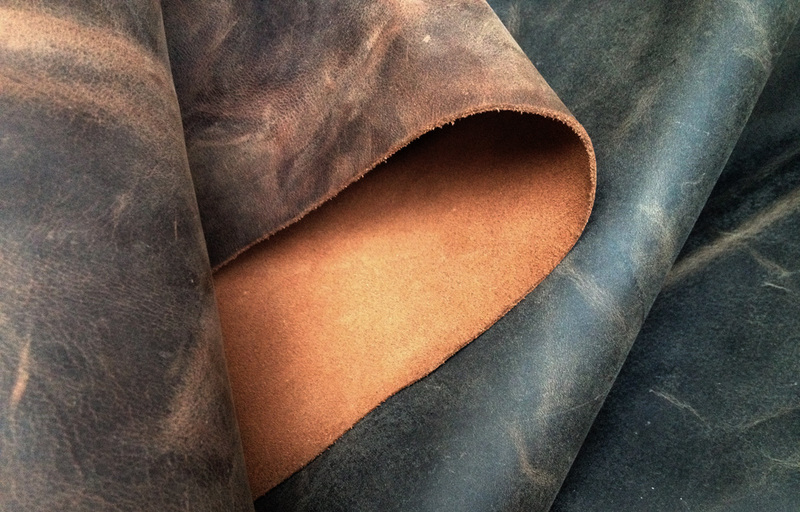 You probably seen this leather before… used for messenger bags, belts or camp boots. It is an awesome leather, heavy duty, very nice to work with. I just love it, it is one of my favorite types of leather: the rugged masculine look, its sturdiness, its smooth surface. This leather is called crazy horse 🙂 I’ve heard other funny names, like crazy leather or mad dog. It is also called Apache or saddle leather. But, in truth, it is the ol’ good cow leather. This leather is also known for the beautiful vintage look, the two tones that it makes where it is folded or was recently bent. I say recently, because after a while the leather returns to its uniform look. And when you bend it again, it will change its appearance again. It is a fun leather, I tell you, maybe I wouldn’t call it crazy… that’s a bit much, but it does have an interesting personality. It will easily pick up more nicks and scratches but they will vanish if you just rub it with your fingers. If it is often bent on one direction, it will keep that wrinkle and so in time the object made out of it will get a beautiful antique, worn, rustic look. First, the premium cattle leather is buffed – the leather surface is sanded with a very fine sandpaper, so that it’s natural grain is evened out and it gets a velvety surface. At that point the leather is called nubuck (think of a peach surface, or the finest powdery suede) Then some special oils are added, and a special wax on top – everything is special! I hope you enjoyed the story of the crazy horse. Have you ever owned something made of this type of leather? Is it me or does this fellow needs a teeth cleaning? and yes definitively needs a teeth cleaning, which reminds me to go to the dentist. Great story and info. Love this “Crazy Horse” leather. And… I will be around in 70 years to read your post again!!! I’m in love with this leather – these colors are stunning! I think I have a bag made from such leather. Th wax was used for the leather and it has a deep grey-blue color like asphalt. I love the vintage look of this leather and new scratch just make the leather more interesting. Oh I know that asphalt blueish gray hue, and I love it! And indeed, I also think scratches do go well with its vintage appearance. 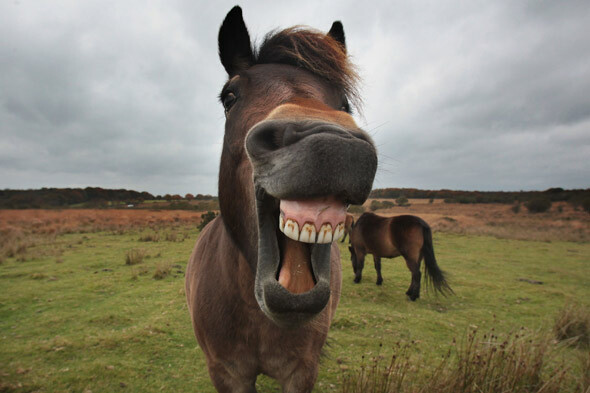 The horsey, Stephanie and i will all make appointments with the dentist! Yeah there are SO many types of leather, that I am still learning about them each day. And if only this crazy leather goes by so many names… I guess I’ll never learn them all. Maybe on the 70 years update you’ll also share all the types of leathers you’ve learned by then! Hehe! Interesting post. Love the horse, he made me smile! 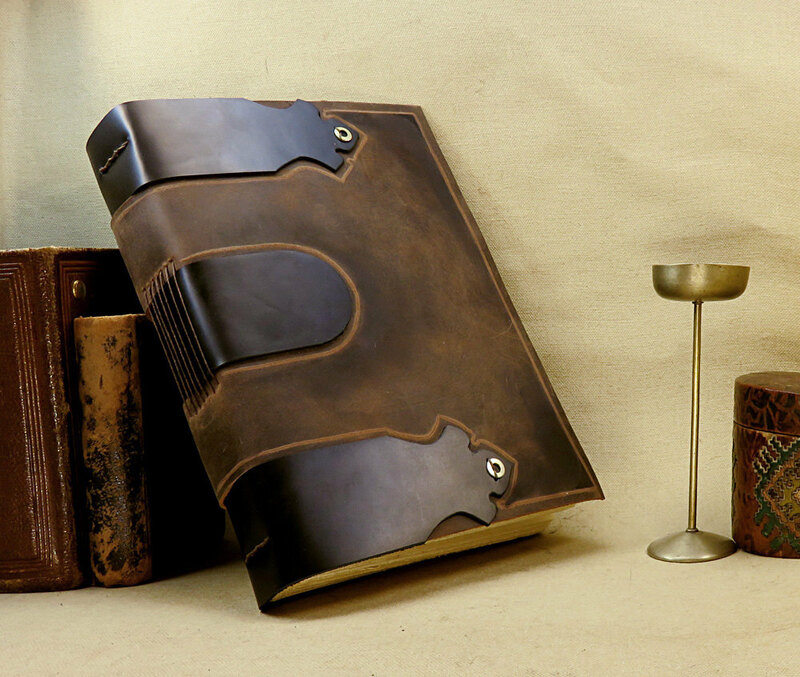 Beautiful journals. I love how your style is becoming increasingly sophisticated and yet stays simple. Such a beautiful leather!! It does look amazingly fun to work with. It would be awesome to get together, I had the best of times last time (and first LOL)… Maybe this weekend? 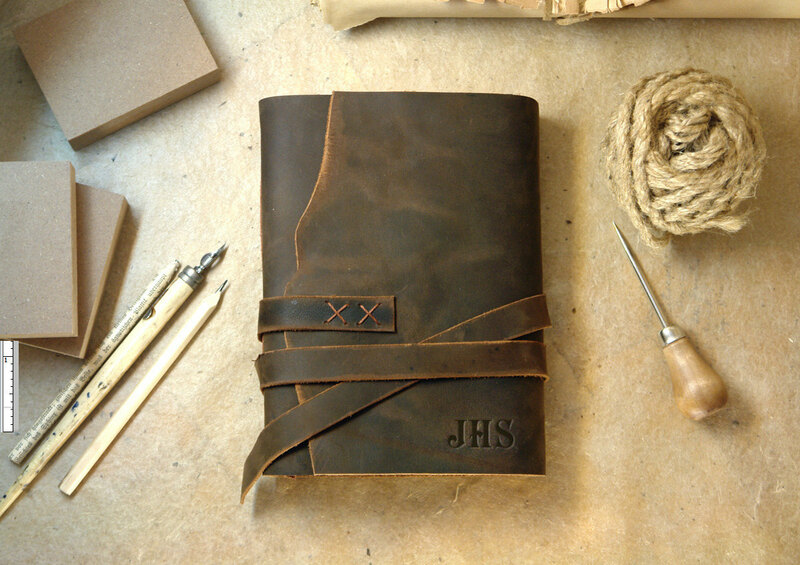 Is the black journal I have made of something like this? In any case it looks like a treasure I’d jealously hoard!